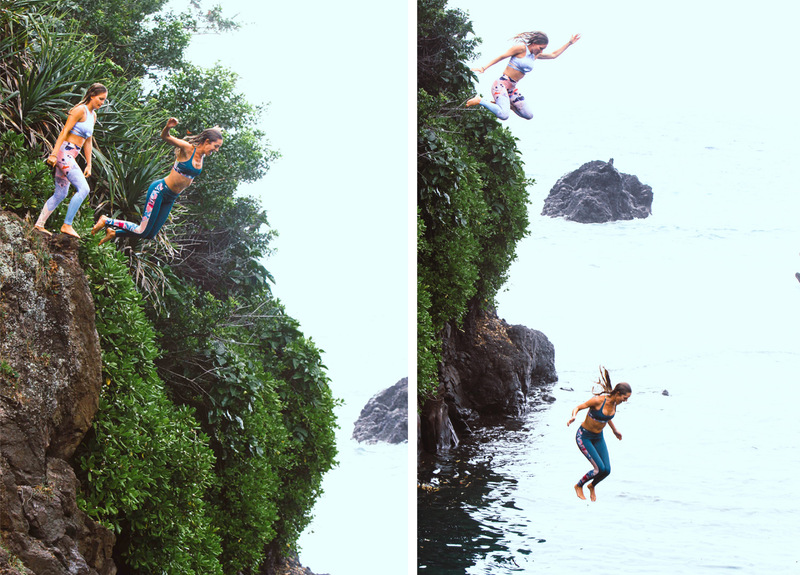 Bruna and Monyca recently made a birthday pact to make this year the best year ever, and kicked it off with a trip to remember in Monyca's own backyard of Hana, Maui. 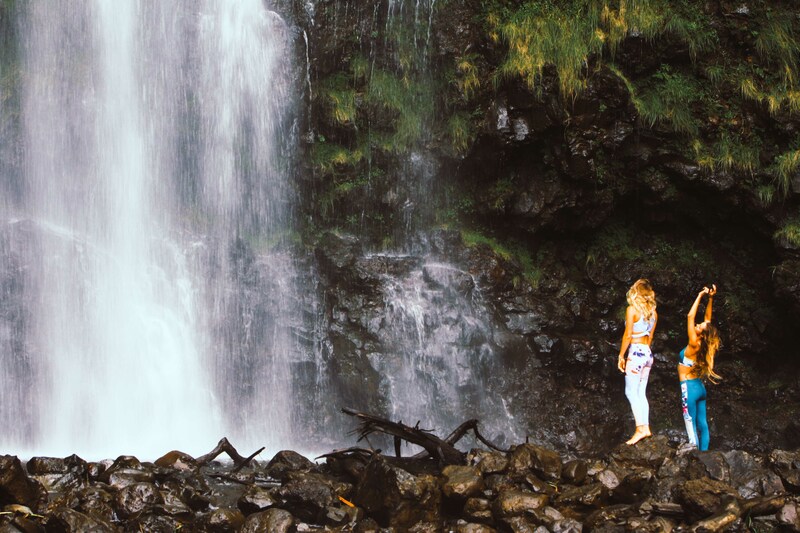 This sleepy town is situated at the end of 52 winding miles of highway, dubbed the 'Road to Hana', on which you will soak up some of the most incredible natural scenery you're likely to witness. It's where Monyca calls home, and also describes as "the greatest place on Earth". “It's not super often that I get my best friends to visit me from outside of Hawaii. I live in what I see as the greatest place on Earth – Hana – but it’s not the easiest place to get to. Some visitors get majorly car-sick, others drive right through and don't know what they've missed. So when my friends make the two-hour windy cliff-side drive to see me in Hana, I do my best to ensure we have the most amazing time ever. When Bruna’s flights were booked, I couldn't wait to start planning out the trip. We both turned 27 this year and were intent on making this our best year yet…Duh! And we also wanted it to be our fittest! 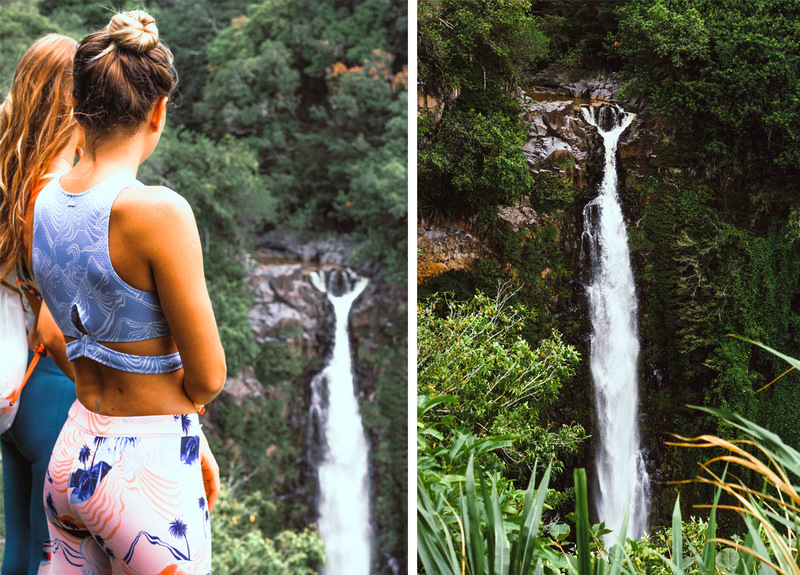 So I made sure to add in some fitness-oriented activities to the agenda.I had never taken Bruna to the hike at 'Ohe'o Gulch (Seven Sacred Pools) before, or to see the bamboo forest. It's far enough to get a good sweat going, and it’s completely stunning the whole way. When we arrived, I realized I forgot my shoes but in true Bruna fashion she suggested we do the hike anyway. Sooo, we both ended up trekking the entire 4-mile hike (up, and down) barefoot. I have to admit, it was a little painful at times, but feeling the damp earth beneath our feet and the mud between our toes made us feel connected with Mama Earth. We loved it." "The two pinnacles of the hike for us were Waimoku Falls waterfall and the bamboo forest. The forest is always lit in the dreamiest way. The sun shines through the tall trees and invites you to just put your arms out and embrace it. The sound of the wind blowing through the bamboo is captivating. When you arrive at Waimoku Waterfall, you almost can’t believe that what you’re seeing is real. The cliff is so tall and the trail of water streaming from the peak falls so far that the whole valley seems to be filled with mist! You can feel it standing more than 200 feet away. It’s glorious! There is no swimming hole beneath the waterfall so after the long hike we couldn't wait to jump in the water. We went for a quick cliff jump, then grabbed our longboards and went for a surf. We shared a bunch of party waves, and tried our hardest to get to the nose before falling, cracking up, and doing it again. What an experience! 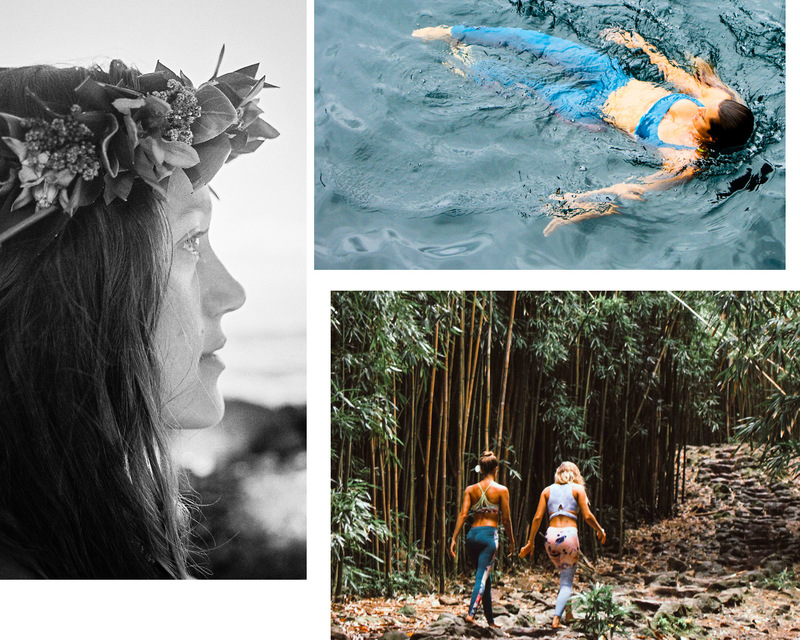 From Mauka to Makai (mountain to ocean) we took in all of Mother Nature's energy and beauty she offered us." 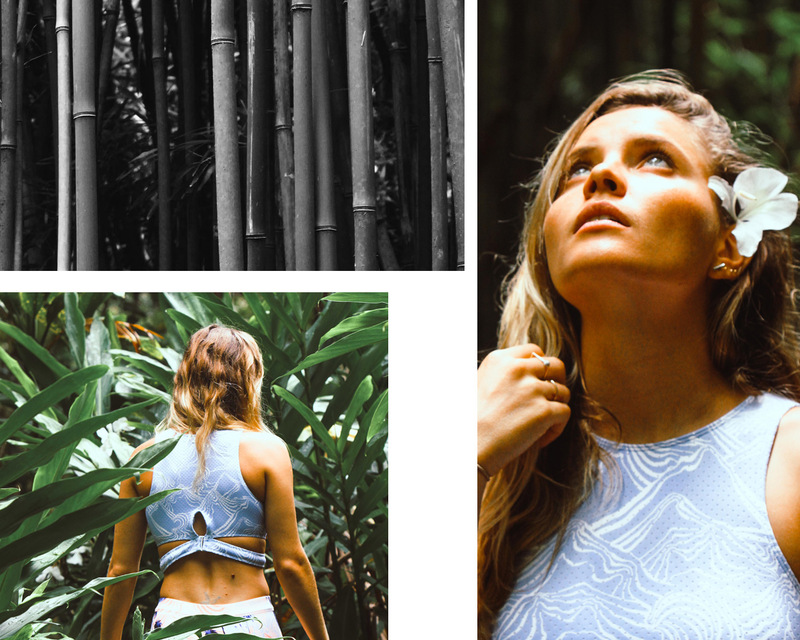 “The very first time I stepped foot in Hana, I felt something magical. I remember thinking to myself: “This is where fairytales are made.” There is nothing like the feeling of landing on an island and being welcomed by the warmth, the wind, and the palm trees. The drive to Hana starts in the sun. Once you get closer, you start to experience this feeling of entering somewhere untouched, pure, and mysterious. You drive along the mountain on a cliff, and if you weren’t paying attention you could just drive through. Of course, I choose to stay because my best friend in the whole world happens to be right there, in the heart of Hana. You only experience Hana if you stay in Hana. My best friend Monyca’s life is like a romantic novel: she has a farm with her husband, both are local surfers born and raised there. Theirs is a childhood love. Now married, the two are growing beautiful organic fruits and vegetables." "Every time I visit, Monz takes me somewhere different. I feel like I should know all of the places there by now, but I don’t. This time, we traveled to the bamboo forest and Waimoku Falls. My mind was absolutely blown to pieces. The waterfall was unlike anything I’ve ever seen. It’s the most powerful form of nature I’ve ever experienced and so incredibly humbling. The pressure of the water falling down this giant cliff and the wind that blows as you get closer is terrifying and peaceful at the same time.